Kumano City has a population of about 20,000. It is surrounded by the sea to the southeast and mountains to the northwest. There are many places where one can see spectacular views of the mountains and ocean, particularly on the Kumano Kodo, which is registered as a World Heritage. Regarding agriculture, the cultivation of citrus fruits raised in the temperate climate of Kumano thrive. Out of the many varieties of Kosan citrus, one known as "Niihime", a specialty product of Kumano, has been selling in great numbers. In the mining industry, Kumano is the only place where a particular stone known as "Nachiguro Stone" is found and produced in Japan. It is processed into “Go” stones and other crafts and its beauty has earned it a high reputation. Kumano city is surrounded by nature and has a rich history and culture which can be seen in sites such as the World Heritage "Kumano Kodo", "Onigajo", "Shihiiwa", "Hana no Iwaya", and, chosen as one of Japan’s 100 best terraced rice fields, "Maruyama Senmaida". 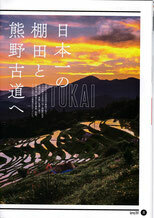 ●9 days; Explore through out the central of Japan and experience the Japanese "spirit". Start from Kumano Kodo(熊野古道) old trails for pilgrims to one of the most popular town for foreign tourists "Kanazawa(金沢) city" via numerous castle and scenic sites. 9 days might not enough for filling your curiosity, but why not follow your instincts? 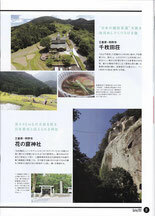 Detailed information of model course of 9 days trip "昇龍道 Shoryudo (the route of rising dragon)" can be found HERE. ●Kumano city on 3sixty JAPAN by Air Asia Japan!! 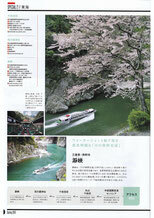 Kumano city's famous "Maruyama Senmaida" terraced rice fields, the oldest shrine "Hana no Iwaya" and scenic "Dorokyou" river jet cruise are on the article of 3sixty JAPAN which has been pre-issued to celebrate Air Aisa Japan's up comming domestic flight. 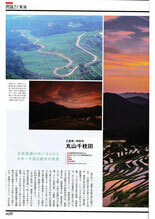 Please come and visit Asia's hot and beauty sight, Kumano city! ●Kumano old trail, Maruyama terrace rice fields and Onigajo with the artist Mr.Yudai Tobinaga on Adobe Creative Cloud promotion video. Check the coolest video and visit Kumano city to see with your own eyes! ● Access: Kumano Owase Road via the Kisei Expressway. Kumano is also accessible by bus or train from Nagoya and Osaka. Please come visit! Facebook "Kumano Nikki" is run by Italian Kumano-Lover in Kumano city!! Check it now!